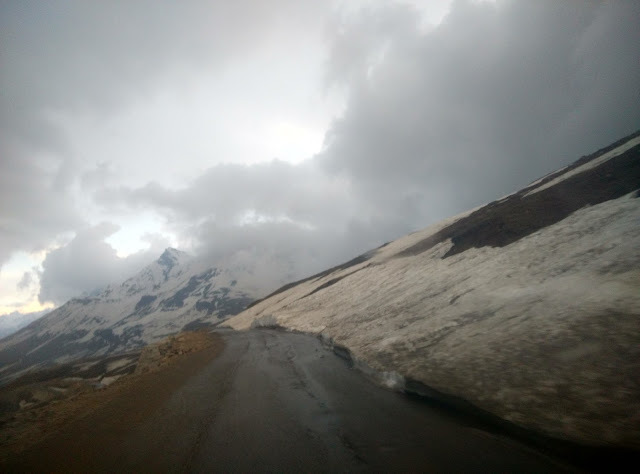 The roads are good till you reach the foot of Rohtang pass. Then the roads are extremely bad till the top but post that the road all the way till Manali is awesome. 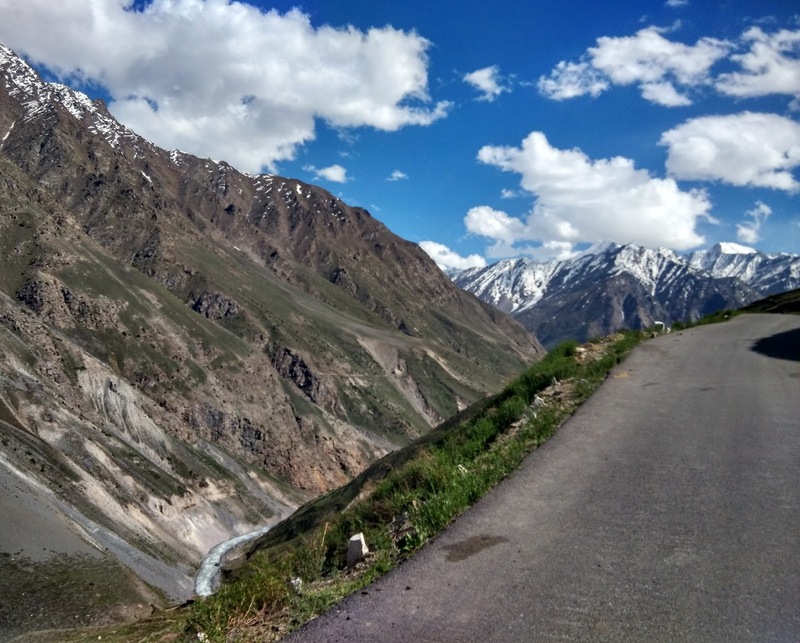 Due to the melting ice, you will see a lot of waterfalls as you climb from Leh side towards Rohtang. You can stop on the top to play in snow or take pics. We didn’t do that for 2 reason – 1) We were tired of snow 2) It started raining. It was more of hailstorm actually. There is always a huge traffic jam when entering Manali through Rohtang mainly because of the narrow roads and bridges which are the only way to enter the touristy part of Manali. 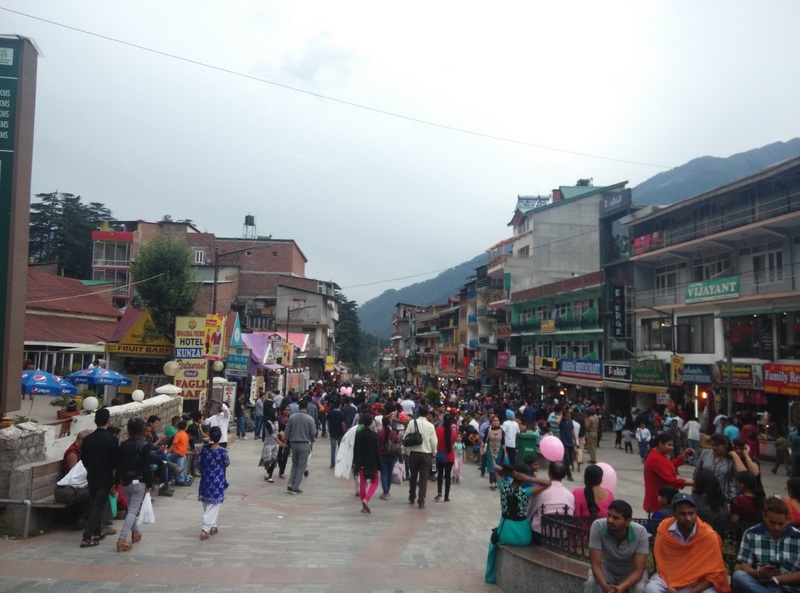 While Leh was less crowded and peaceful, Manali was touristy and chaotic. We checked into our hotel at around 8pm after traveling 490kms in 15hrs with 2 tyre punctures within the first hour of us leaving Leh. We had one and three fourth days in Manali. 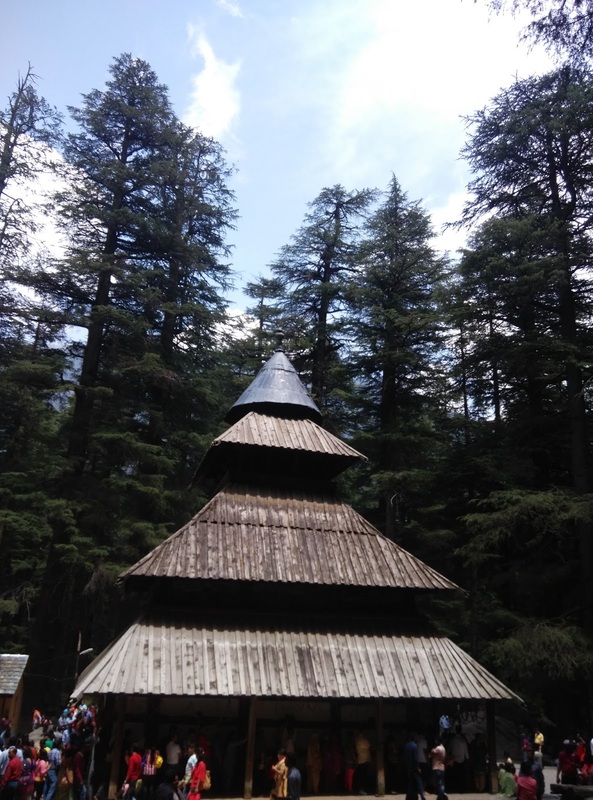 I called my cousin who had visited Manali the previous week. 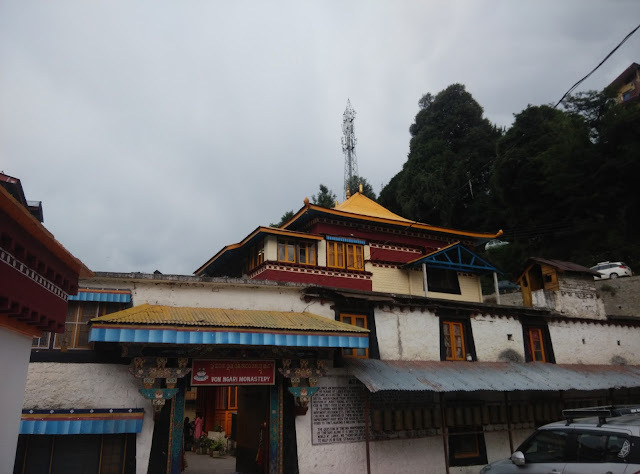 She told me that they had taken a 4day package tour of which one was a rest day, one day at Rohtang, one day for rafting in Kullu and final day was local sightseeing. She told we should visit the mall road which has a lot of eateries. 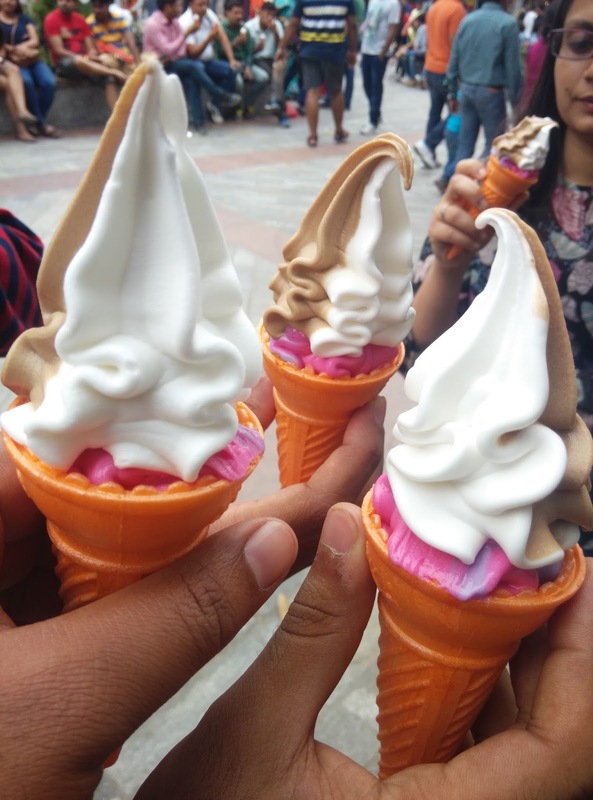 We had travelled via Rohtang and we had done rafting in Leh which as per most people there, was better than the one in Kullu. So all we had to do was the local sightseeing which we had already negotiated with our package guys for the next day. The local sightseeing bummed us a bit. The tour started with the visit to the Vashist Temple & Water Springs. The temple was decent and the hot springs was pond with natural hot water which had a bunch of people bathing and it was not a pretty sight. 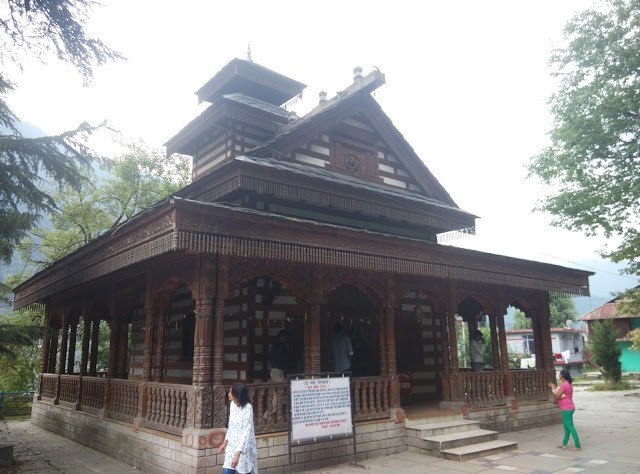 The next location was the Hadimba Devi & Ghatotkach temple. There is a huge park here where they have the local traditional costumes for rent. You can rent them for INR 50 and take any number of pics with your mobile/cam. We then passed via old Manali to reach another temple and Shiva temple was the final temple for the day. 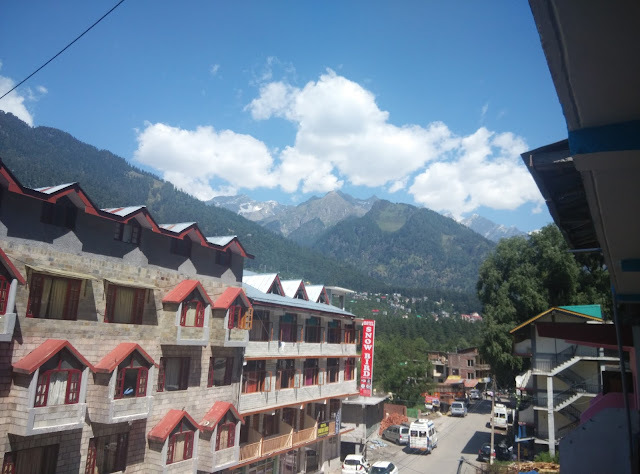 Old Manali road has youth hostels and the travel desks for trekking tours. This street also has amazing cafes which mainly has the hippie crowd. Our room was in new Manali else would have definitely visited this place again for its night life. 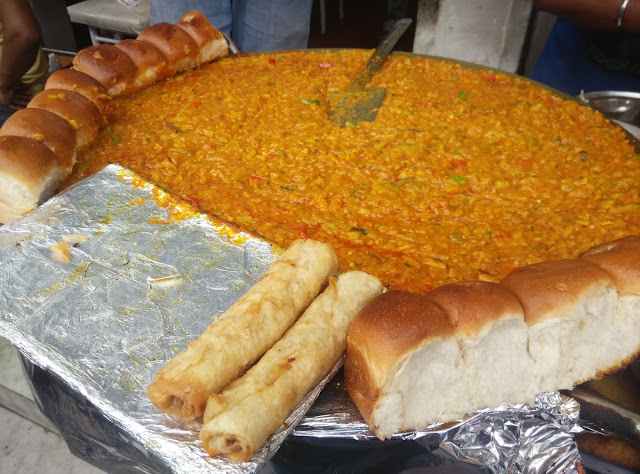 It started drizzling so we sat in the café for a while before we head to the mall road for some yummy street food. The highlights are the chats and the 2 to 6 flavored softie ice cream. 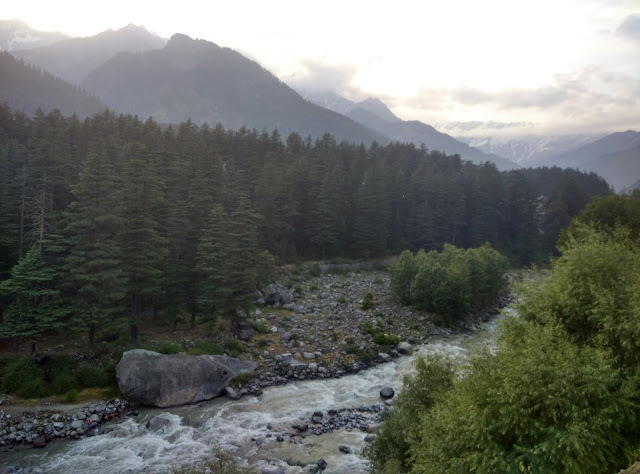 These places aside, Manali is a very scenic place. It was cool and green everywhere. 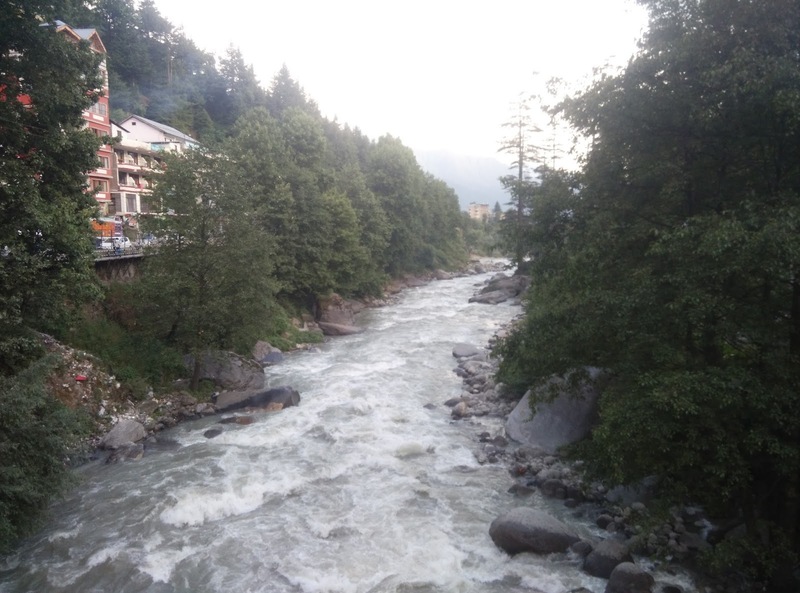 Our bus was at 6pm next evening and we seem to have covered everything that Manali had to offer in one day. 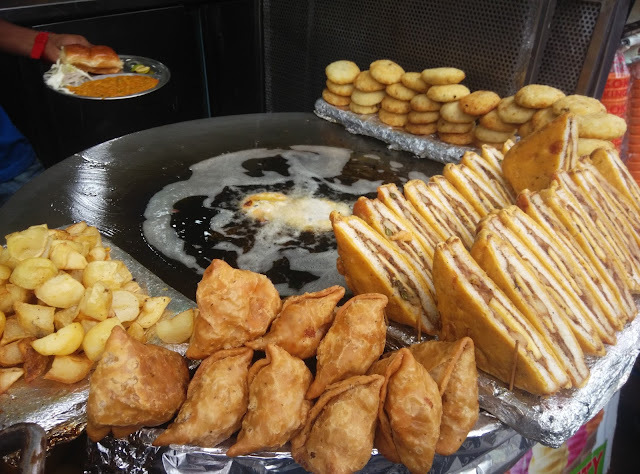 One of my cousin’s friends suggested that we visit Manikiran which is 70kms from Manali. We were told Manikiran has a famous temple and a hot spring. 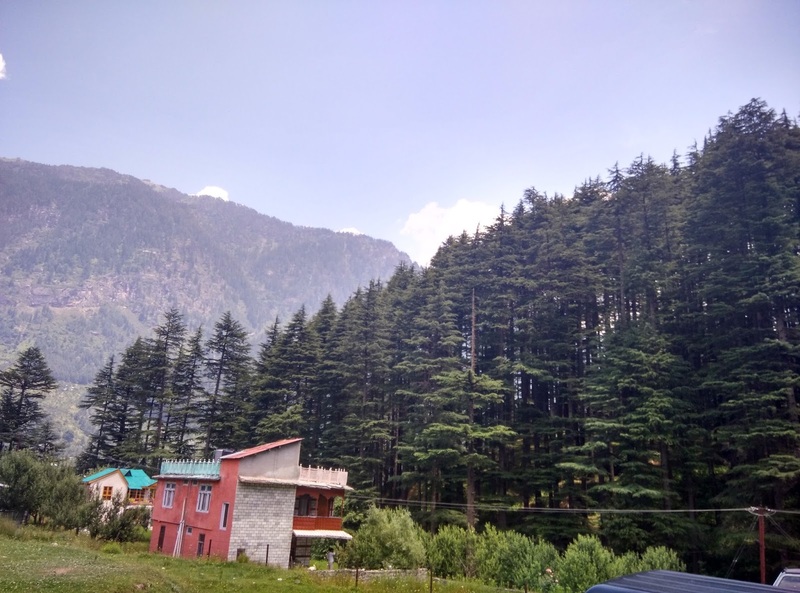 We asked our hotel guys and they told we could go there easily by bus if we change our return trip boarding point from Manali to Kullu. 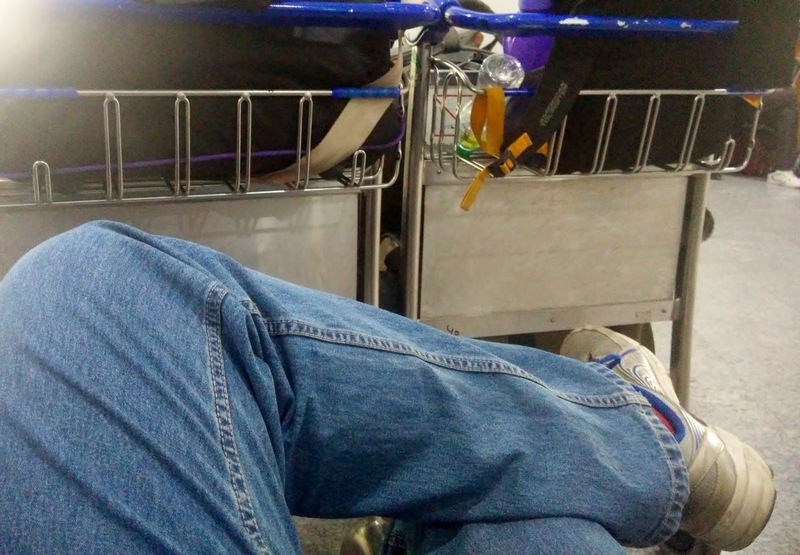 We didn’t want to carry our luggage so we decided to leave early and come back for our bus. We left hotel by 8am and boarded the bus to Kullu. It was crowded but after riding the BMTC in Bangalore and the express buses in Udupi, this ride was decent. 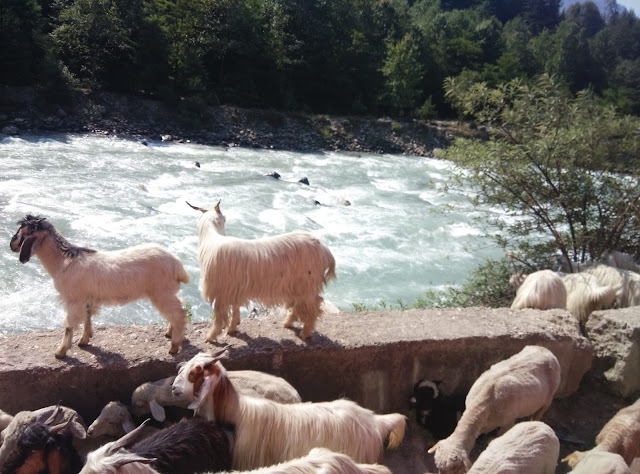 The route to Kullu is scenic with river Beas next to the road along the entire stretch. 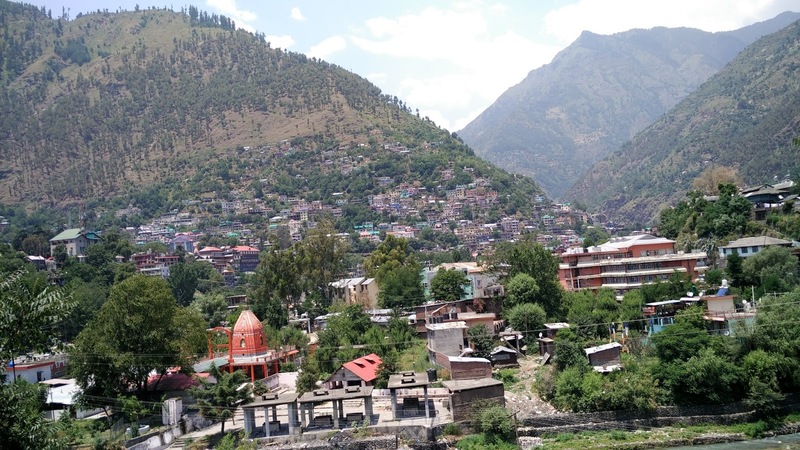 We reached Kullu at around 10:15am and then were told it will take another 2.5hrs to each Manikiran. That was not practical for us because we had to be back in Manali by 4:30 and the route always has a traffic jam. So we just walked around Kullu and headed back to Manali. Well that is a wrap of my Leh blog series. 13days of pure awesomeness with every place having something new to offer. Do let me know if you need any additional details and I will be glad to guide you. No final selfie because I had a swollen cheek due to tooth infection. So just packed and eagerness to go home!